Clean and marinate teh sardines in chii powder and salt. Keep aside for 30 mins. Fry the fishes in oil and keep aside. In the same oil, add sliced shallots, green chillies, ginger-garlic paste, tomatoes, chilli powder, turmeric powder, fenugreek powder and salt. Saute well for few minutes. Add tamarind soaked in water. Saute to cook. 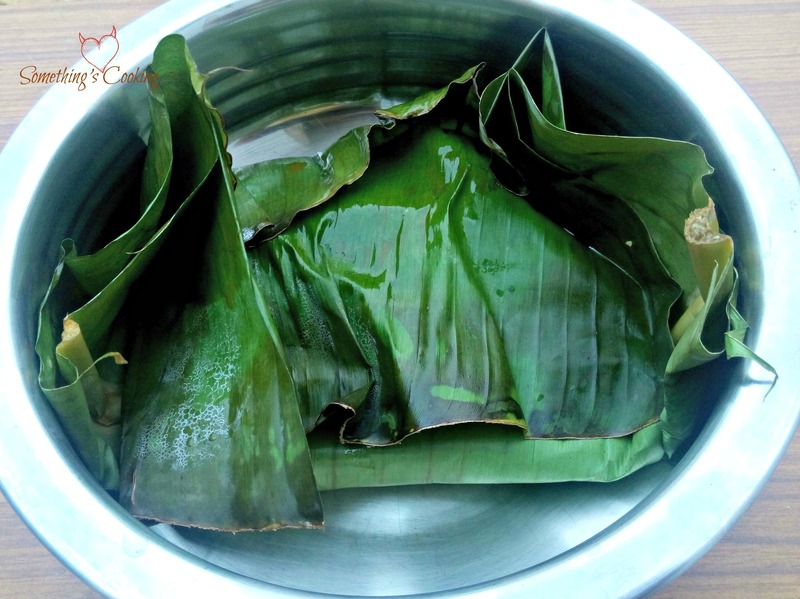 Hold the banana leaf over fire to make it pliable. Add little of the cooked masala on to the leaf and spread. Place the fried fish. You can keep two or three in one leaf. Spread another spoonful of masala onto the fishes. Add few curry leaves. Wrap the leaf to form a parcel. 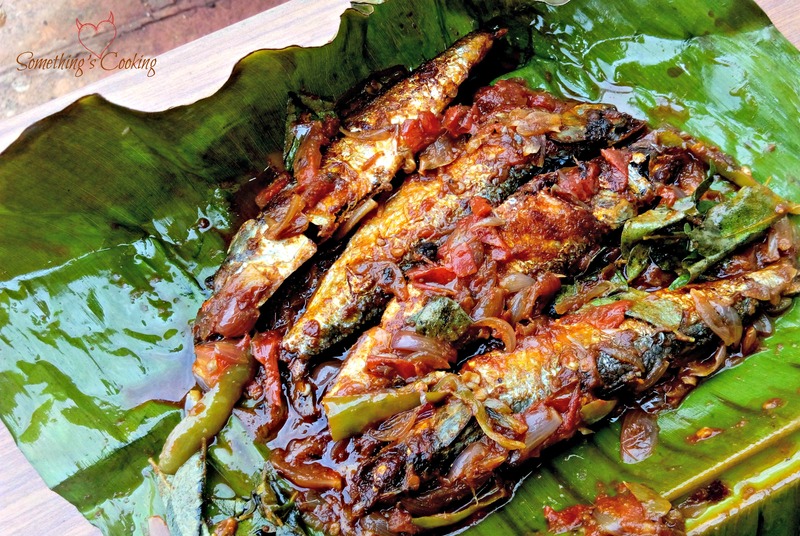 Make such parcels with remaining leaves, fishes and masala. In a claypot when hot, place these parcels. When the leaves turn dry, flip over to cook the other side as well . If my hubby had seen this post, I would have had to make it right away. He would pester me constantly as he is a huge sea-food lover. Since he is not here, I am bookmarking this one for future use (after AtoZ) 😛 Super drool worthy pics! 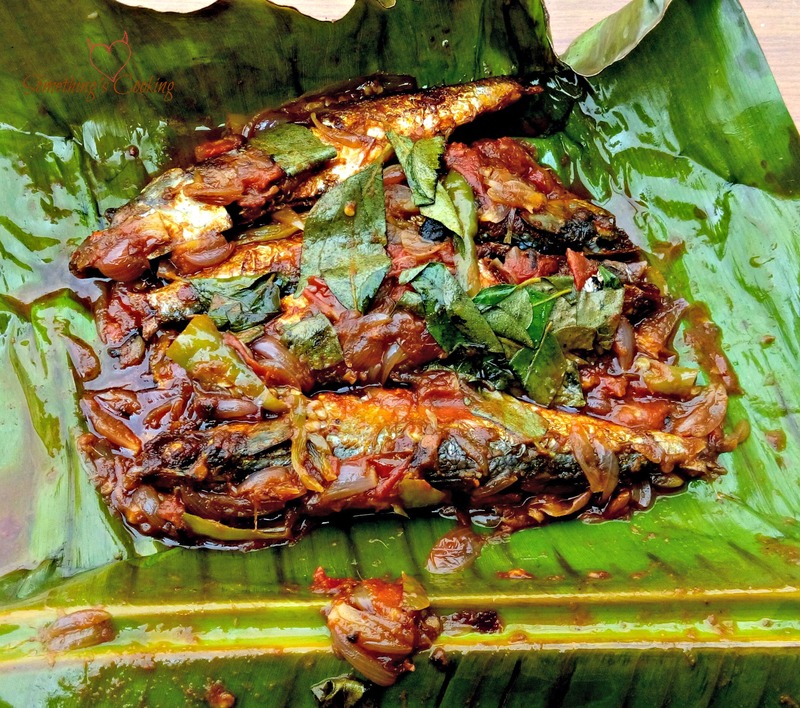 I love Kerala cuisine! 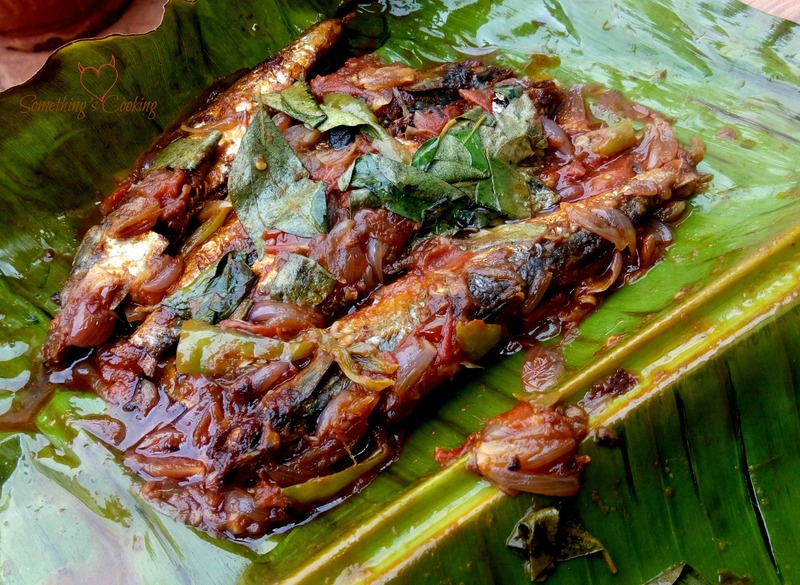 I need to find a place to buy banana leaves in Northern CA so I can try this dish. KG would love this. He is a big sea food lover! I sent this link to my hubs, Shalini. He just loves eating canned sardines. Bet this recipe will have him drooling for sure. I’m not as much of a sardines fan but your recipe does look appealing. Love Indian food. DROOL!